An edge-colored directed graph is called properly connected if, between every pair of vertices, there is a properly colored directed path. We study some conditions on directed graphs which guarantee the existence of a coloring that is properly connected. 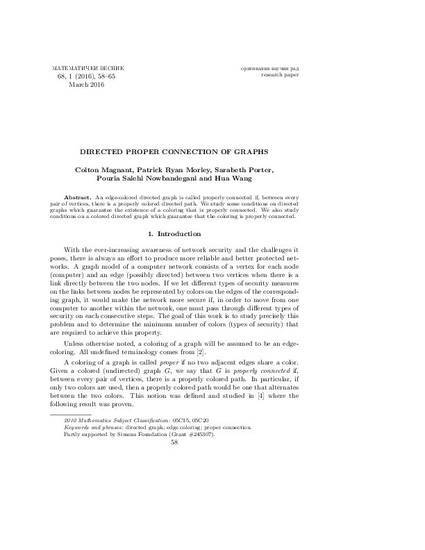 We also study conditions on a colored directed graph which guarantee that the coloring is properly connected. Matematički Vesnik is a fully open access journal. All published articles are made freely and permanently accessible online immediately upon publication, without subscription charges or registration barriers.